Old Tom's eyes have always looked to the future, not back. That's why our Golden Age is right now, and right here in your hands as you weigh up the pros and cons of exploring this new , scintillating taste instead of just picking up something else out of habit. Don't do that. 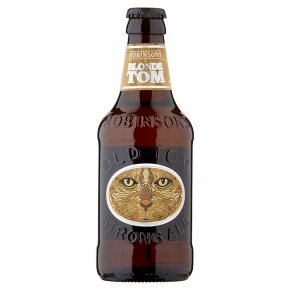 Blonde Tom gives the world's most awarded beer - Old Tom - a run for its money with a fresh recipe that combines Belgian Yeast, and quintessentially English hops alongside European varieties for a fruity taste with a spicy clove tang. Incurably optimistic, Blonde Tom is best served with summer sunshine, lots of friends and making plans.